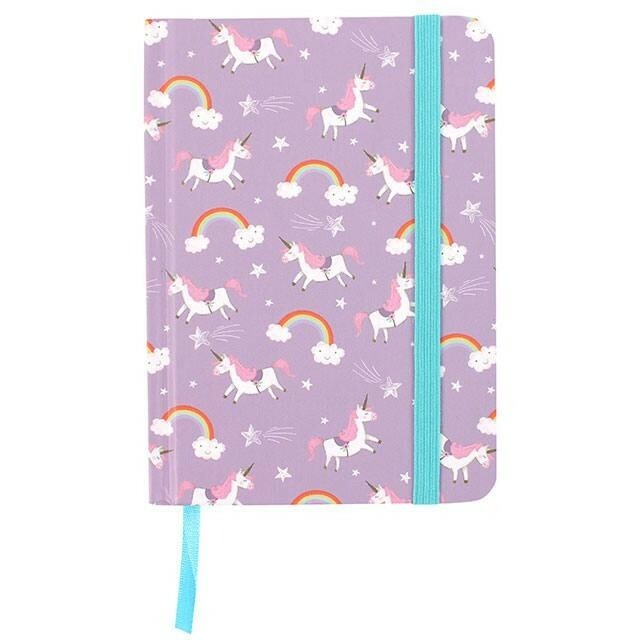 Lovely unicorn notebook which features pictures of unicorns and rainbows on a purple background. The notebook is silver edged and is part of our Unicorn Magic range. Would make a great gift for any occasion.